A newborn baby will never again learn as much as during the first months of his life. During this time, parents have the unique opportunity to accompany their child in his first steps in life. Enormous developments take place during this phase, which will influence the child‘s life. Contrary to animals, whose sensory system and motor functions are fully developed at birth, babies leave their mother‘s womb before they are ready. 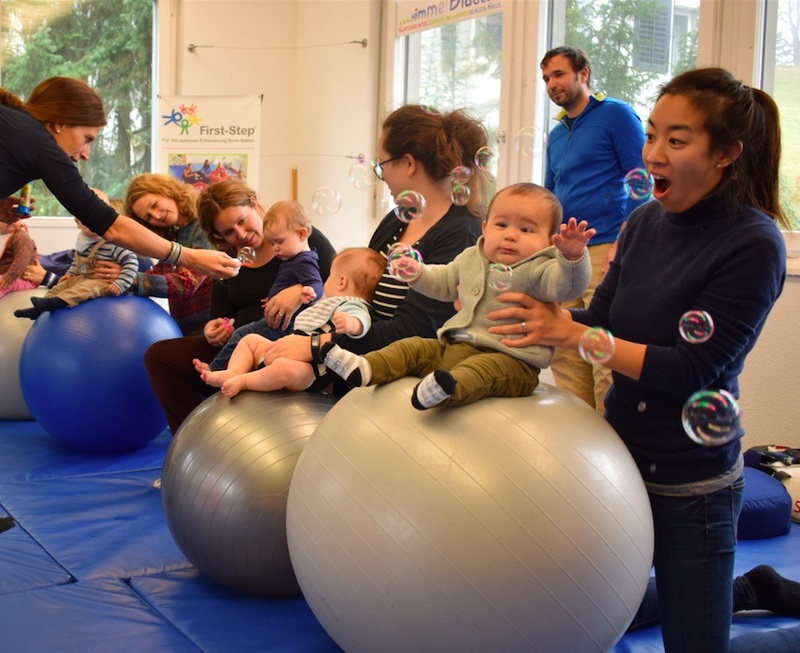 therefore, they still need the comforting feeling of protection they had in the womb and their development greatly benefits when their senses and motor functions are actively stimulated. In addition, this has a fundamental influence on cerebral maturation. First-Step supports parents to encourage their child‘s development. 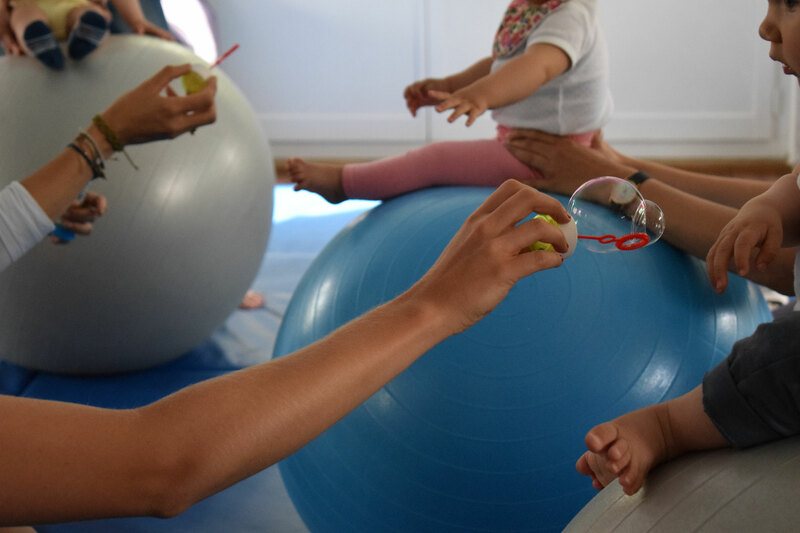 First-Step has an holistic approach and sees the parents as a significant factor contributing to the development of a child. First-Step believes that there is an optimum time window for each step of development. and this opportunity should be made the most of. 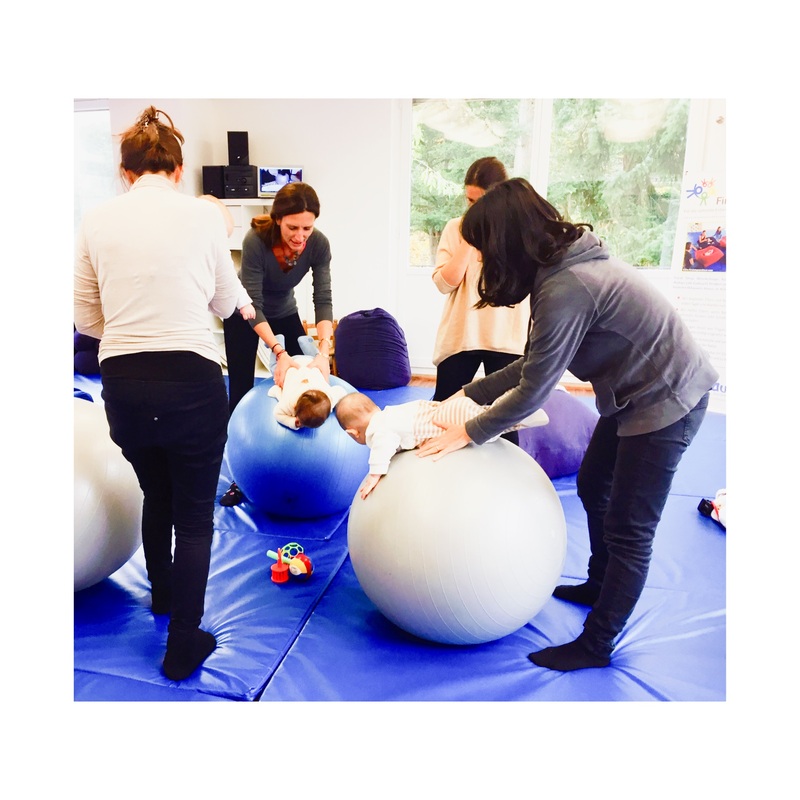 the First-Step Method is structured so that the infant will undergo a development step at a time – without missing one. 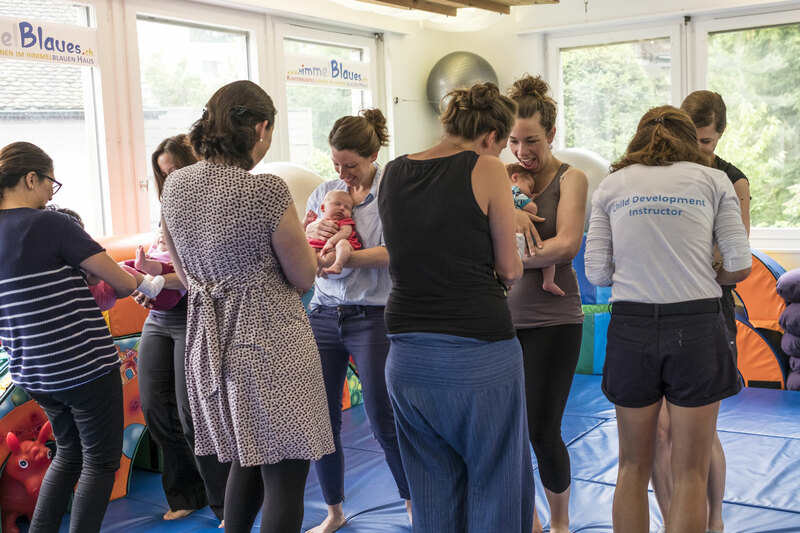 always, whether you come to a private lesson or attend a workshop, it will be your baby‘s senses, motor-skills and nervous system that will be stimulated to set the smooth flow of their development. 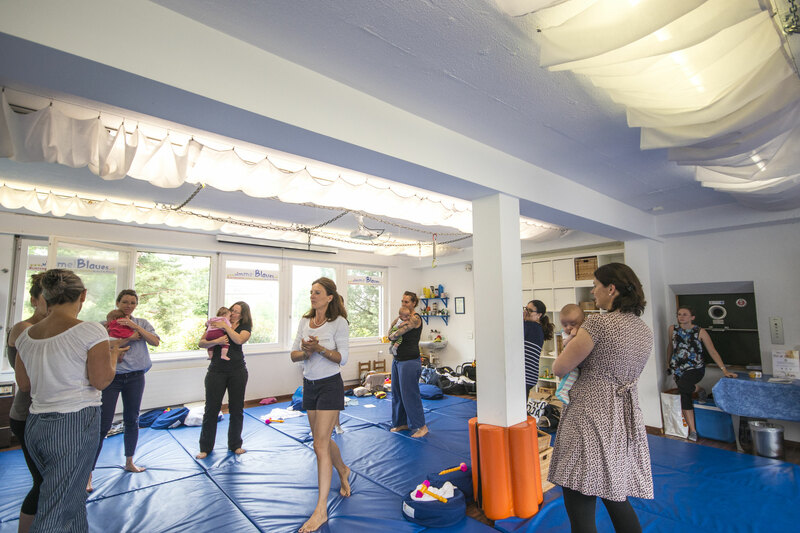 Each workshop consists of 4 lessons (Baby Comes Home 5 lessons). Hence the course content is allocated to 4 different dates, which you will find on the below registration links. First lesson is a trial lesson, where you decide whether to continue or not. If you cannot join a lesson, you can make it up at the next workshop, given that you notified us according to the cancellation policy (please see below). 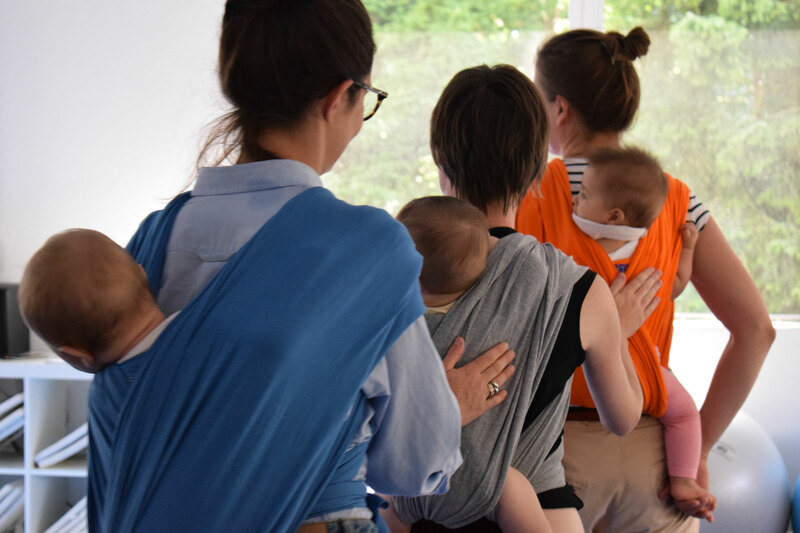 It is possible to organize your own workshop; at your home, with the mothers/babies you gather. For a group of two the price is CHF 50.-/person, and for more than two it is CHF 30.-/person, plus CHF 60.-/hour per travel time from Kilchberg. You don’t need to bring anything special. We provide all the necessary material. Our studio is located on a street with a blue zone parking. For cancellations up to 24 hours prior to the registered workshop, you get a credit that you can use another workshop in the next 12 months. We do not refund nor give a credit for the cancellations that occur less than 24 hours prior to the registered workshop.